Entry to this home with manicured landscape & fresh stained deck offers a cheerful open floor plan with high ceilings and plenty of dual-pane windows - a pleasant feel. 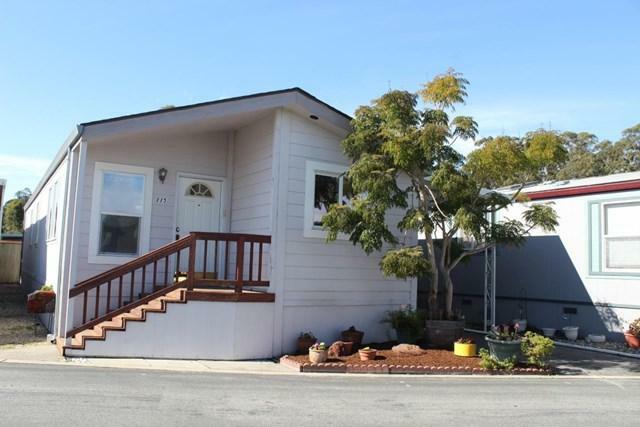 This 2 bedroom+office- 2 bath home has a separate laundry room with plenty of storage & washer/dryer. 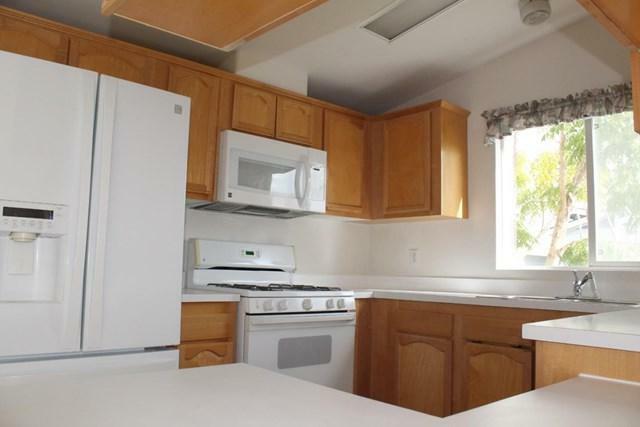 Kitchen offers a double-door frig, free standing gas range, disposal, dishwasher, & plenty of counter and storage space. 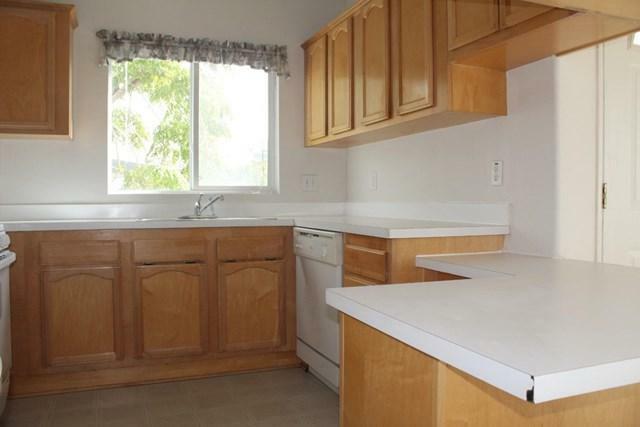 Also has breakfast bar and skylight. 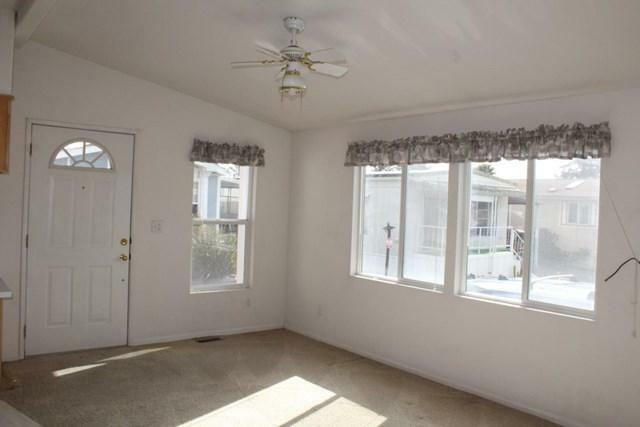 Living area and bedroom have ceiling fans. Fresh cleaned carpet throughout & vinyl in baths & kitchen. Windows have blinds, master has walk-in closet, stall shower with convenient seat. This 55+ senior park is just a few blocks from the beach, access to public transportation, pool & shuffleboard courts,club house & pool table. One cat or dog/35 lb max. Near shopping, beach, library, and Simpkins swim center. TURN KEY home for buyers with income 5 times the monthly rent of $399.00 & be approved by park, pre-qualify before offer. 1 dog or cat 35 lb max.